The abrupt end to the season of Washington Nationals’ ace Stephen Strasburg was one of the most controversial stories in baseball in recent years. As the 2013 season approaches, fans and baseball writers will follow him closely to see if he can pitch a full professional season for the first time in his career. To young players who dream of one day starring in the big leagues, though, Strasburg’s history might serve as an important lesson. I was fortunate to have the opportunity recently to speak with legendary pitcher Tommy John. Like Strasburg, John suffered a devastating injury to the ulnar collateral ligament in his elbow. In 1974 he underwent an experimental surgery. That ulnar collateral ligament reconstruction – which now approximately one in every seven active MLB pitchers has had – is now commonly called Tommy John surgery. John explained his sense of the underlying factors that led to the Nationals’ decision, including Strasburg being “valuable property” to the team and the fear of legal ramifications for the team if he suffered another injury. What interested me most was his suggestion of a bigger issue with the superstar. Stephen Strasburg has the “worst mechanics I’ve ever seen in my life,” John remarked. In an article for ESPN the Magazine last season, writer Lindsay Berra interviewed several pitching experts who claim Strasburg’s mechanics drastically increase his risk for suffering a Tommy John injury. Why then would the Nationals’ coaches and management limit his innings and not also fix his mechanics? “It’s hard to change pitching mechanics after high school,” John argued. Tommy John is right. 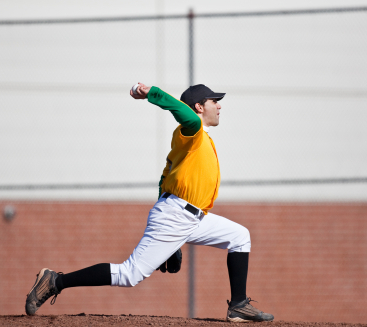 Most shoulder and elbow throwing injuries that manifest later in baseball careers have their origins years earlier. Ulnar collateral ligament tears, like most other arm injuries in pitchers, have two basic risk factors – overuse and bad mechanics. We might not have the ability to correct these issues in the pros. We can fix these problems in young players. The USA Baseball Medical and Safety Advisory Committee created guidelines to prevent arm injuries in young pitchers. Pitch counts are probably the most recognized aspect of the guidelines. However, they also recommend that young players avoid pitching in showcases, pitching on more than one team per season or for more than nine months per year. The committee discourages young athletes from throwing breaking pitches until puberty and advocates that they develop proper pitching mechanics. Even though these guidelines have been in place for years, youth baseball coaches largely don’t know them. 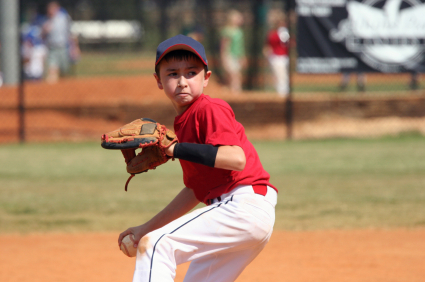 Researchers surveyed Little League coaches and questioned them about different aspects of the injury prevention guidelines for a study published in the May-June 2012 issue of Sports Health. Overall the coaches only got 43% of the questions about pitch counts and rest periods correct. More worrisome than the apparent lack of knowledge by the coaches was the significant percentage of youth pitchers in that survey who experienced shoulder and elbow pain during the season. Almost one in five youth players pitched through soreness or fatigue, which is thought to dramatically increase a pitcher’s risk of serious injury. That percentage would likely be even higher if the researchers had asked the pitchers themselves and not the coaches. These messages probably aren’t exciting ones. Giving up the radar guns, focusing on perfecting pitching techniques and mechanics, emphasizing location and changing speeds, observing pitch limits and mandatory rest days are probably not what Little League players and their parents and coaches want to hear. But they can and will prevent arm injuries in some of these young athletes. If we can fix these problems early, maybe these kids will stay healthy enough to get to the major leagues one day. And, unlike Strasburg, maybe they can avoid season-ending injuries once they get there too. Note: A modified version of this post appears as my sports medicine column in the March 28, 2013 issue of The Post and Courier. I want to thank Steve Kleinman for his help with this article and for helping to arrange the interview with Tommy John.